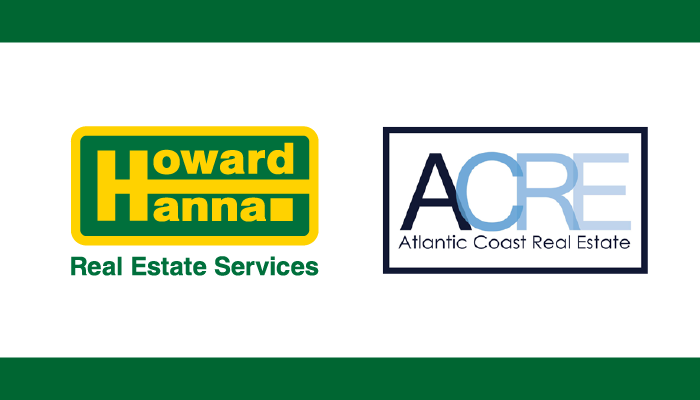 Virginia Beach, VA (February 5, 2018) – Gail Coleman, President of Howard Hanna Real Estate Services’ Southeast Region, and Vice President Dennis Cestra, Jr., along with Brady McNaughton, owner of Atlantic Coast Real Estate, announced that Atlantic Coast Real Estate has joined forces with Howard Hanna. Agents from both companies gathered for the big news, as did Towne Mortgage Venture President Robin McCabe and Vice President Nick Russo, Howard Hanna Laskin Road Office Assistant Managing Broker, Courtenay Ross Mason and Managing Broker, Jack Voss. “With this fine partnership of Brady McNaughton and his professional team of sales associates joining the Howard Hanna family, we look forward to a future of continued growth within Virginia Beach and throughout Hampton Roads,” added Gail Coleman. Howard Hanna’s exclusive Homes of Distinction Program and 100% Money Back Guarantee, along with nationally acclaimed training and technology platforms, will immediately be available to ACRE associates, further enhancing the process of bringing buyers and sellers together in successful transactions. “To be the consumer’s top choice in Virginia Beach and all of Hampton Roads is our combined goal,” said Cestra. For more information, please contact Gail Coleman or Dennis Cestra, Jr. at the Howard Hanna Colonial Center office, 800 Newtown Road, 757-408-1584. Howard Hanna has been helping people feel at home since 1957, when the real estate company was founded by Howard and Anne Hanna in Pittsburgh, Pennsylvania. Through both organic growth and mergers/acquisitions, the family-owned and operated company is the 3rd largest real estate company in the United States with 259 offices throughout Virginia, North Carolina, Pennsylvania, Ohio, New York, Michigan, West Virginia, and Maryland. The full-service company provides residential and commercial brokerage, mortgage, insurance, closing and escrow, appraisal, relocation, and property management services.